UPDATE 5th April: 30 deck guides now ready for launch! 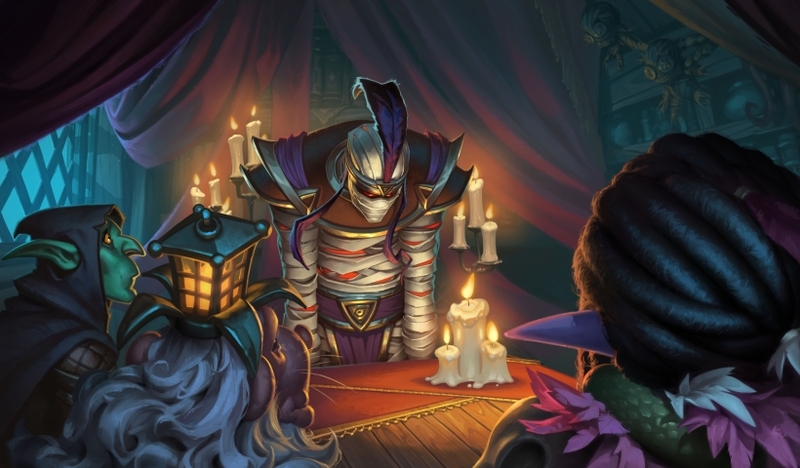 Our Hearthstone Rise of Shadows guide contains the release date, cards, Twinspell and Callback details, and everything else we know about 2019's first expansion. The next Hearthstone expansion - and the first of 2019 - is called Rise of Shadows. The news was confirmed by Blizzard towards the middle of March. Rise of Shadows will see Hearthstone's roster of heroes seperated into two competing factions: The League of EVIL and the Defenders of Dalaran. There'll be the usual 135 cards to collect, as well as a new Twinspell keyword for Defenders, and a series of "callback cards" for League heroes which will reference keywords from Hearthstone's history. In our comprehensive guide to Rise of Shadows we've pulled together all of the information that's been released by Blizzard so far. As card reveal season gets under way we'll add all the new cards to this article, and expand on any other information that's confirmed in the run-up to launch as well. UPDATE 5th April: We've now got more than 30 decks for you to try out when the expansion goes live on Tuesday! We'll be converting all of the articles linked below into full guides once the lists have stabilised a little bit, but this should be plenty for you to get started with. Here are all of the headline announcements that have been made for Rise of Shadows so far. After this section, we go into greater detail on each point. 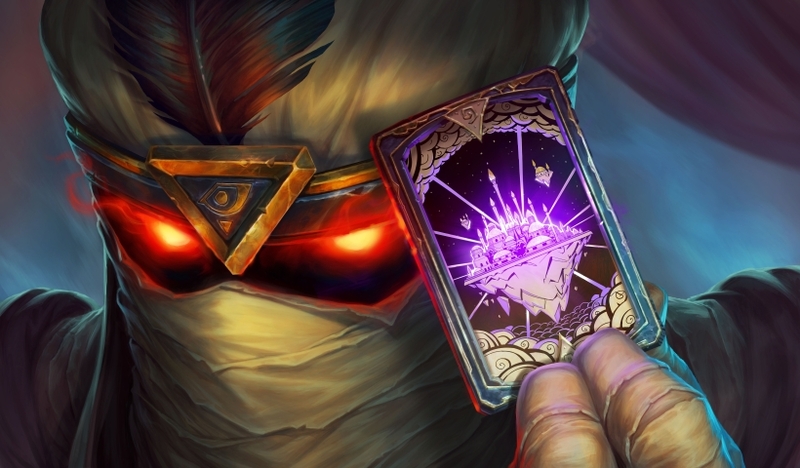 Release Date: Hearthstone's Rise of Shadows expansion will launch on Tuesday 9th April 2019. New cards: There will be 135 new cards in Rise of Shadows, with the usual distribution across rarities and classes. League of EVIL: The bad guys of the expansion will each field a representative across the Priest, Rogue, Shaman, Warrior and Warlock classes. Callback Cards: Each League of EVIL character will re-introduce a keyword from the expansion they first appeared in. Lackeys: The League of EVIL classes will also have access to Lackey minions. They have minor stats but huge Battlecry effects. Schemes: The same classes will also gain access to Scheme cards, which grow in power for each turn they remain unused in your hand. Defenders of Dalaran: These are the good guys in Rise of Shadows, represented by the Mage, Druid, Hunter and Paladin classes. New Twinspell Keyword: Cast a Twinspell card and a second copy will be added to your hand for use either right away, or on a later turn. These cards are exclusive to Defenders of Dalaran heroes. We're in the very early stages of putting together theorycrafted deck lists for Rise of Shadows. Expect this section to grow a great deal over time. Five of Hearthstone's classes will be members of the League of EVIL, and each will have its own special ringleader. 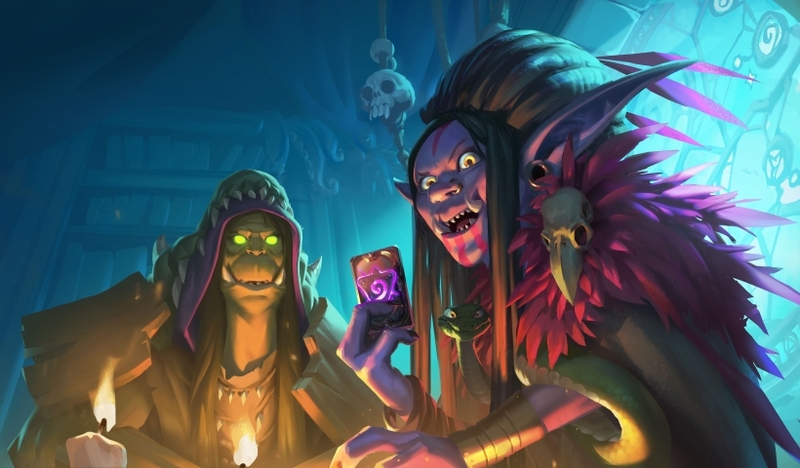 Note that Madame Lazul is the character more commonly known as the Fortune Teller from the recent expansion teasers, as well as the cinematic trailer for 2016's Whispers of the Old Gods. Each of the above characters will be getting something known as “callback cards”, which are drawn from the expansion in which they made their first appearance. In the case of Madame Lazul (who first appeared as the Fortune Teller in the Whispers of the Old Gods trailer), this will be the Forbidden-related word. Think of old cards like Forbidden Ritual or Forbidden Healing in this context. The Warlock's Arch-Villain Rafaam has a similar effect to the Golden Monkey from League of Explorers, for example, replacing your hand and deck with Legendary minions when played. You can expect similar effects for the other EVIL characters, and they'll be announced in a future reveal. The League of EVIL will have access to a special kind of token minion called Lackeys. These are very low-statted minions which nevertheless have a high-impact Battlecry. They can't be collected, and are instead spawned by other cards. They work a little like the Spare Parts from Goblins v Gnomes, or the Dream cards created by Ysera. EVIL Miscreant is one example that's been provided for the Rogue class. Schemes are a new kind of card available to the League of EVIL heroes. They start off very low in power, but grow steadily in strength for each turn that they remain in your hand. Hagatha's Scheme, for example, damages enemy minions. If you're facing a aggro deck you can play this quite early on in order to do the minor damage that's required. Alternatively, against slower decks, you can play it in the late-game for potentially massive damage. The Defenders of Dalaran are the good guys in Rise of Shadows, and are represented by the four remaining classes in Hearthstone: Druid, Hunter, Paladin and Mage. Much less detail has been provided on these four characters so far, but we do know that the Mage will be represented by Kalecgos. This mighty Dragon adds an effect which makes the first spell you cast each turn free. It also has a Battlecry which lets you discover a spell - which you can then cast for free if it's your first spell of the turn in question! We understand that there'll be lots of Neutral cards to support the Defenders of Dalaran in particular. Chef Nomi is one such card that's been revealed so far. Each of the four Defenders of Dalaran will receive two cards which feature the new keyword called Twinspell. When you play a card that features the Twinspell mechanic, you'll receive a single extra copy of that card in your hand. This replacement card can be played on any future turn. Note that the duplicate card does not feature the Twinspell mechanic, and so can't be duplicated further. One example that's been confirmed so far is The Forest's Aid. Twinspell cards will have a real mix of Mana costs too. Some will be extremely cheap at one or two Mana, while others will be considerably more expensive. A new Hearthstone cinematic trailer has also been released for the Rise of Shadows announcement. There'll be two different pre-order bundles on offer for Rise of Shadows, and you can buy both if you wish. Here's what each one contains and how much it'll cost you. Here's how the Jewel of Lazul card back looks. We don't yet have images for the new cosmetic Priest Hero, however. Every previous Hearthstone expansion has added a new game board to the rotation, and we assume this will be the case with Rise of Shadows. 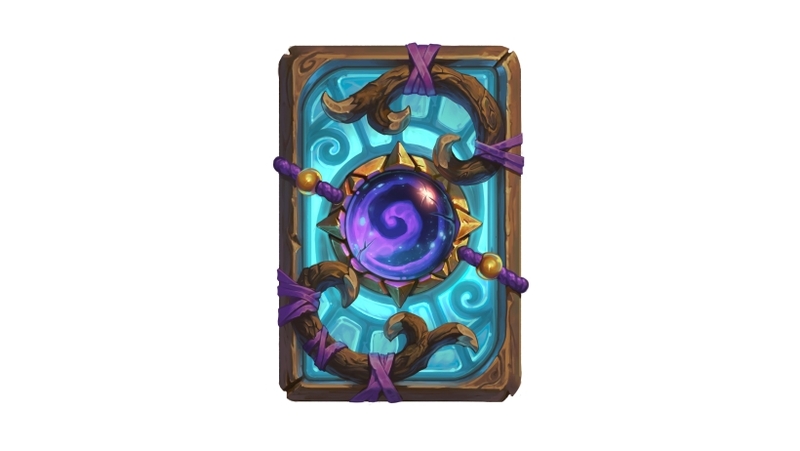 The artwork for the new board has not yet been released by Blizzard, however, and so we'll add it into this section as soon as it becomes available.